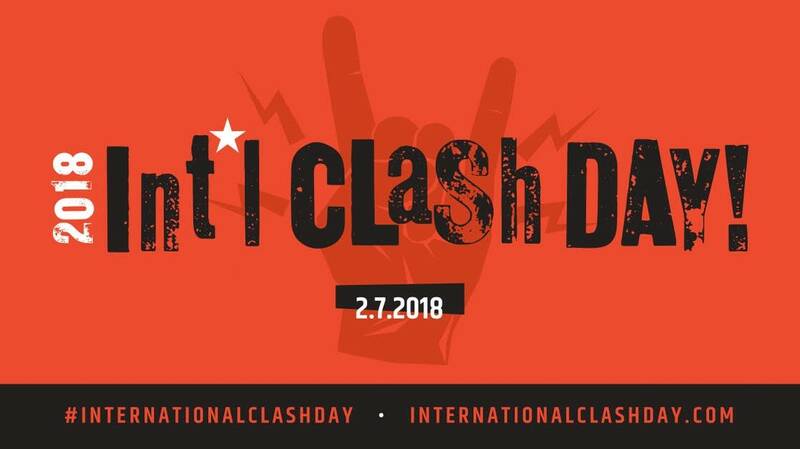 Look, I'm glad we are celebrating International Clash Day in collaboration with our friends at KEXP and beyond, but let's be real: every day should be International Clash Day. At least in our hearts. 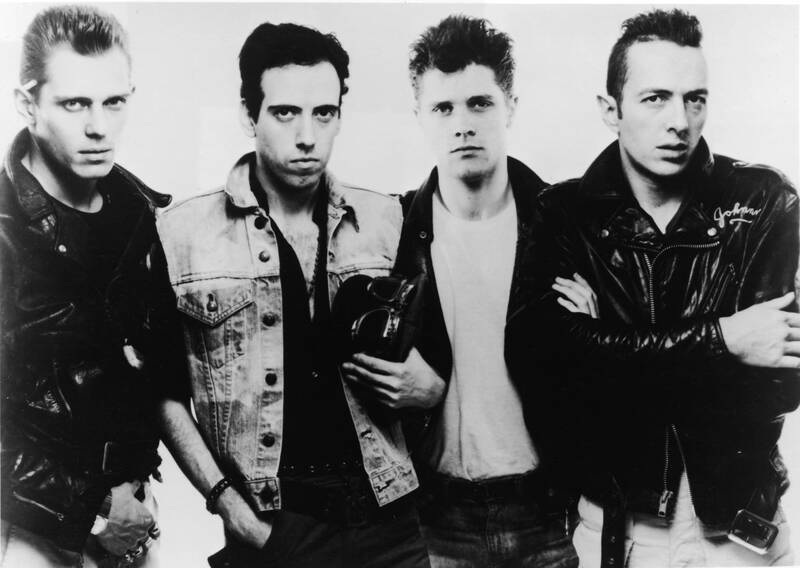 Once upon a time, The Clash were dubbed "the only band that matters." Obviously, that's ludicrous, and for some people they didn't — and don't — matter at all. It was a marketing phrase drummed up by their label to get people intrigued for their upcoming record. But that record was London Calling, and it took the music world by storm, mixing elements of punk, reggae, rockabilly, pop and other sounds that deviated from their previous two records, laid over messages of political outrage, calls for social justice, and some plain ol' heartbreak. It was an audacious double record that came with a strong visual aesthetic and a sense of urgency, a sound of pleading in Joe Strummer's voice mixed with a seductive quality. There was a feeling of mirth and play that let you know that while we were all headed for nuclear meltdown, there was also time to dance and love one another because in the end — what else do we do this for? Over the years my tastes have expanded from punk to soul to alt country to hip hop to pretty much anything you can name, but I keep returning to The Clash, and specifically to Joe Strummer. I hear elements of all the music I love reflected in his, and I keep finding layers and depths in those early Clash songs I'd missed before. The first time listened to Joe's radio special and heard him exclaim "Let Nina Simone rule the world!" I almost passed out with joy over our mutual love for her. I've watched EVERY. FILM. MADE. about Joe and the band, and I have taken so much inspiration in his words about putting your beliefs into action, about standing up for what's right, and about not just being against something, but being FOR something. I saw Joe sitting in a local bar one night many years ago, watching one of my friends' bands play the show of their lives, and didn't say hi to him after making eye contact, feeling like I'd just seen a demigod. I still regret it. I did get to meet Mick Jones at The Current's SXSW stage, and he was lovely and gracious and exactly like you'd hope one of your heroes would act after you told him he changed your life, as if he hadn't heard that a bajillion times before. Joe went on to make a lot more music after The Clash, before his ridiculously untimely death in 2002; Mick Jones and Paul Simonon continue to make music with various projects, some of it fairly decent, but none of it earth shattering. For the relatively brief, tumultuous time The Clash were in their original lineup, they wrote some of the most insightful, impactful and urgent songs of the day. Many but not all of them hold up on repeat listens and in light of the world we live in now. Some of them demand a listen in light of that world. Joe aged into somewhat of a sage for a lot of us that grew up on him, issuing forth statements like: "And so now I'd like to say — people can change anything they want to. And that means everything in the world." He became an eminently quotable rock for a lot of us to lean on, and maybe a little too hallowed following his death. But that's what happens when you lose your heroes early. Craig Finn dubbed him Saint Joe Strummer in a song by The Hold Steady — and that kinda caught traction. So on this International Clash Day, do The Clash still matter? I say yes. Let's all ask ourselves what it is we can change, because there's something out there we can make better with our actions. Remember: The future is unwritten. Musicheads Essentials: The Clash - Sandinista! Why is this album essential? Because The Clash were one of the most exciting bands in the world at that time. Sandinista!, the highly anticipated follow up to their rock masterpiece London Calling, is a joyride around the world.